Gerard and Kandra met through a mutual friend in January 2013. They immediately bonded over their love for music, family, and quoting movies. After three and a half years, Gerard proposed to Kandra by the beach in Palos Verdes, California. Despite dropping the ring (woops! ), Kandra still said yes! After the proposal, Kandra and Gerard were joined by both of their families for a surprise dinner. It was a night they'll never forget. 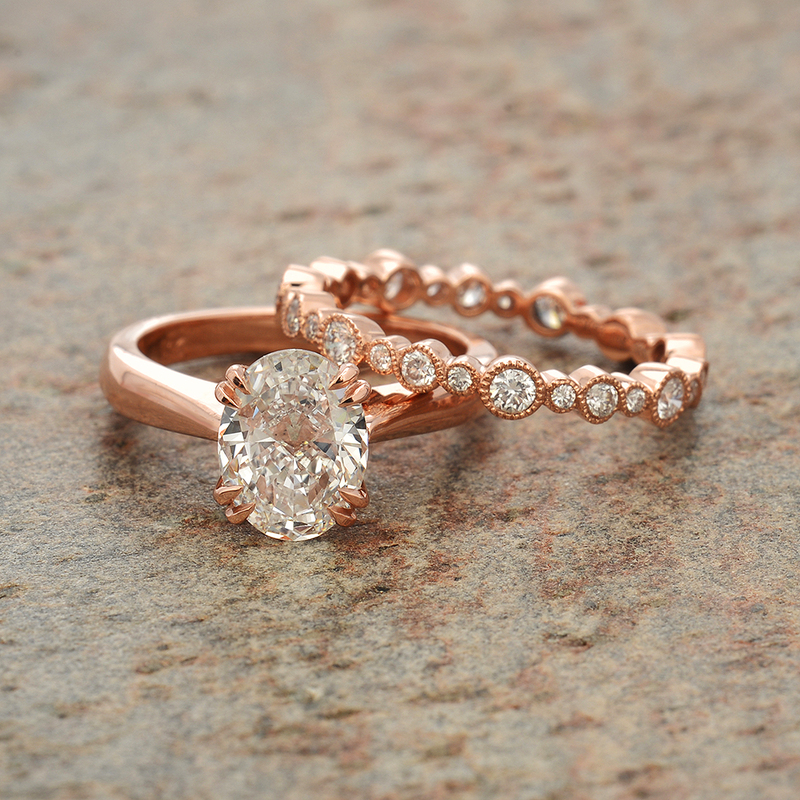 The Ring: Gerard knew Kandra wanted an Oval cut diamond with a simple, classic rose gold setting. After working with Hersh a few times, he had the diamond and everything picked out. As he left the Janvier office, he got a call back saying that a new diamond had just come in and had to be seen. When Gerard saw the new diamond, it instantly spoke to him and he knew it was meant to be. Kandra now wears a 1.70 carat GIA certified Oval cut, which she loves and is constantly being complimented on.